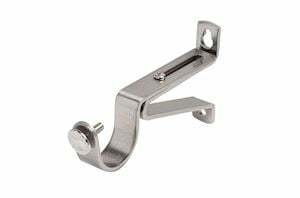 The Speedy 28mm 'A Frame' wall support in chrome offers great strength and stability in holding any 28mm curtain pole in place. 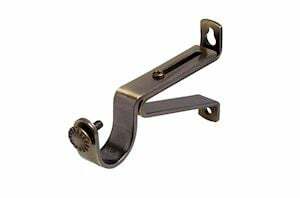 The adjustable feature allows flexibility in adjusting the bracket length between 95-130mm from the wall. 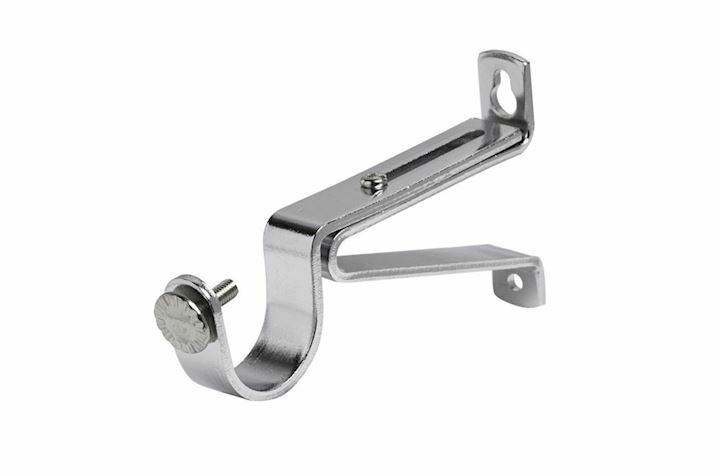 The pole is held in place inside the bracket by a screw that is attached with a circle metal piece of decoration on the outside.